As 2011 came to an end, and 2012 began, Todd Webb (aka Seamonster) wrote and recorded eleven songs. 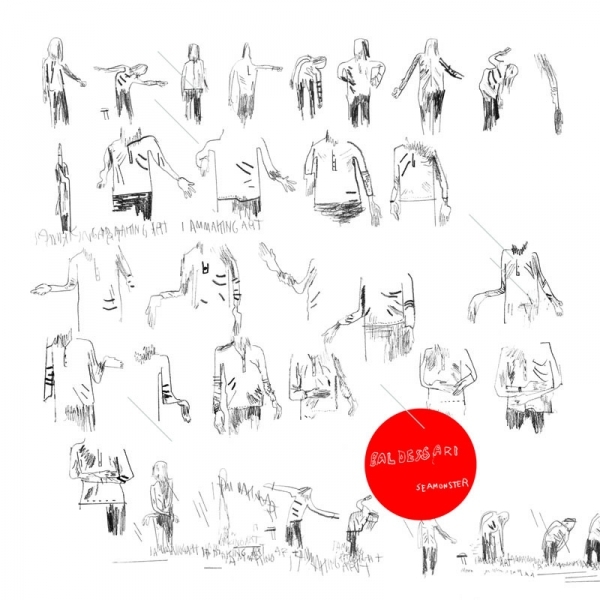 Together, these eleven songs make up a record he decided to call Baldessari. 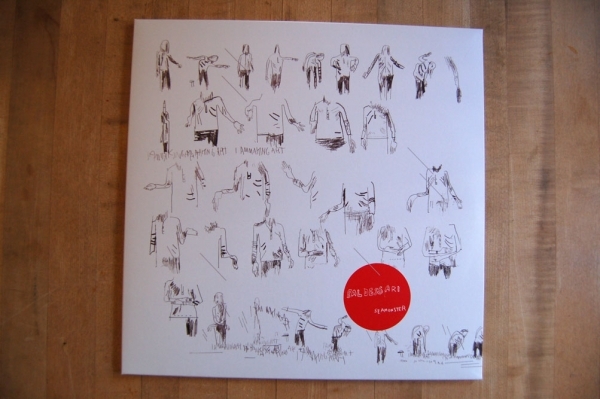 The album is named after John Baldessari, an artist whose creative appropriation of discarded materials to make new and interesting art was a huge inspiration to the process of making this particular group of songs. The following instruments were used to create this record: Casio Sk-10 toy keyboard (which he received as a Christmas present in second grade), Yamaha PortaSound PSS-130 (thrifted), ukulele, an old iphone (purchased from a friend for $50), a Campbell’s soup can, and a broken Danelectro guitar. In addition, a freeware program called AudioPaint was used to convert the images of paintings referenced throughout the record into sounds that were then incorporated into the songs to make something new and different out of the old and familiar. 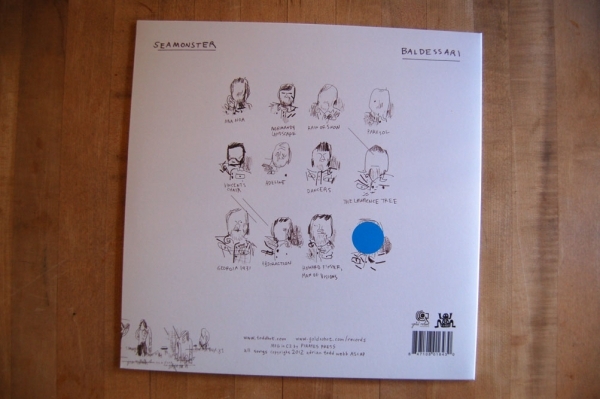 The songs on Baldessari are named after works by or about the following artists: Paul Gauguin, Pierre Bonnard, Arthur Dove, Raoul Dufy, Vincent van Gogh, Henri Matisse, Georgia O’Keeffe, Franz Kline, and Howard Finster. Vincent van Gogh and Georgia O’Keeffe were the only artists to become subjects/inspiration of/for multiple songs on this record. For example, the song “Georgia, 1931” is not based on a painting, but on a letter written in July of 1931 from Georgia O’Keeffe to the art critic Henry McBride (though this letter also references her painting “The Lawrence Tree” – itself the subject of another song on this album). 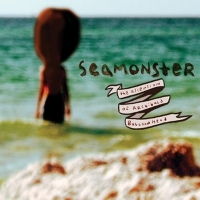 Warren Craghead III, a good friend of Seamonster, was kind enough to provide album artwork. 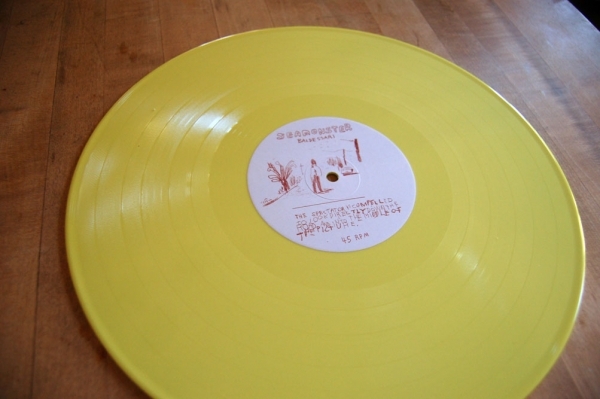 Multiple references to various works of Baldessari are incorporated throughout the packaging, including the yellow color of the record itself. 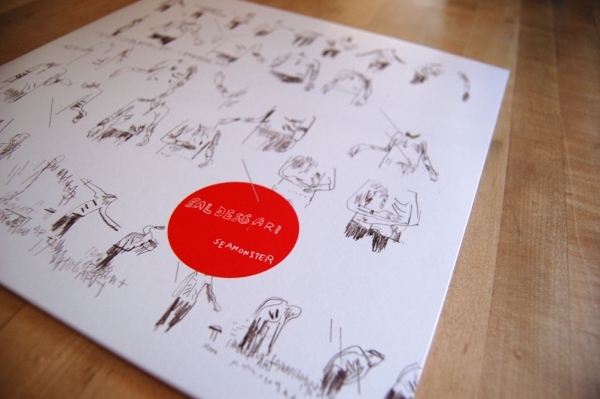 The front cover depicts "I Am Making Art" - a video of Baldessari's from 1971. 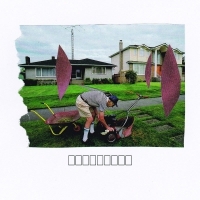 Additional, Warren has created a special liner booklet to accompany the album. You can download, print, and assemble it yourself here. "Whether I make them or not there are always sounds to be heard and all of them are excellent." "The results are sublime and beautiful." "Musically, Webb balances elements of traditional songwriting against his conceptual musical explorations. For example, there are clear sonic road signs pointing to his Elephant 6-inspired background (especially Neutral Milk Hotel and early Apples In Stereo). 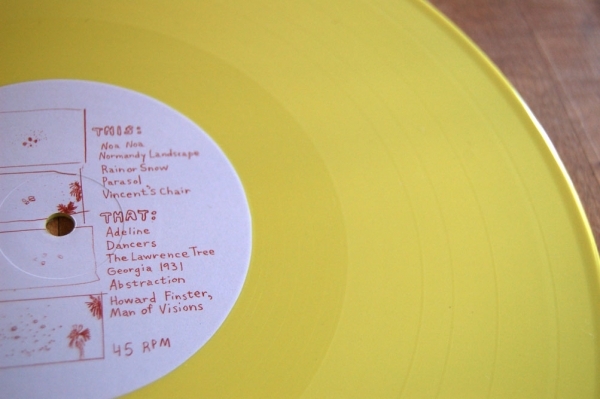 Throughout, lo-fi psych gives way to fully textured compositions and delicately threaded instrumentation." "Building a lush orchestra of what I sometimes think of as "miniature noises" with less presence, but that in Webb's work gain a new potential to inform the overall system, which unfolds most spectacularly in the presence of his voice." "The album’s individual components are familiar, the melodies and instruments not being especially innovative. The levels of distortion used throughout the album aren’t especially common, but they aren’t especially new either. 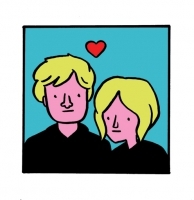 Where the album excels is at that intersection where experimental and pop music collide. 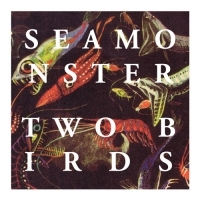 Like Animal Collective, Deerhunter and others before them, Seamonster straddle the perilous divide to perfection." 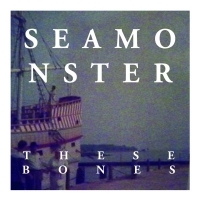 "What I love most about Seamonster and this record is that it’s got these really easy pop melodies, but it also sounds experimental. The result is what I’d describe as modern folk, as in – folk infused with computerized noises and effects, fuzz and all." "Baldessari is a collection of swooning bedroom folk stories as each vibrant melody retrieves a favorite childhood memory." "So you’re not on a train after all, you’re on a boat (or on a spaceship, or in a submarine, or in Neverland?!) traveling well into the unknown, but it’s pretty cool either way. Welcome aboard the Seamonster." "(The Parasol remix is) the delicate rework done by our favorite tropical beat-collage master Monster Rally. It’s apropos that projects with the name “monster” in them remix one another. But really, the result is a cloud-like dream that lofts above your psyche, not quite a dream, but not quite a reality."